Urgent! All hands on deck. Posting this alarming notice per request. On April 9, the Fremont Board of County Commissioners considered amending County Zoning Regulations to eliminate public meeting requirements for certain county government meetings. The amendment, if passed, would have severely limited the voice of citizens & voters whenever renewal of Conditional Use Permits (CUP) is being considered. Why should you care? Because CUP regulate the operations of sawmills, recycling facilities, waste transfer stations, milling, and mining – including mining for gold or other minerals, and rock quarries. CUP concern compliance with matters involving general health, safety, and welfare of the impacted area(s). Silencing the voice of citizens and voters would leave important decisions that may deeply concern you, to the discretion of three County Commissioners. Amending zoning regulations as proposed would eliminate the opportunity for the public to comment, voice concerns, or get questions answered. Silencing the public, and cloaking meetings in secrecy is not representative government. Fortunately, a group of concerned citizens spoke during the Public Hearing on April 9. Facing opposition to eliminating public meetings concerning CUP, Commissioners decided to postpone a final decision until April 23. They may hold a study session among themselves in the days between now and then, BUT on April 23, Commissioners can amend County Zoning Regulations to eliminate the need to hold public meetings for CUP renewal. Even though Commissioner Bell stated NO FURTHER PUBLIC COMMENT WILL BE ALLOWED on the matter at the April 23 meeting, you can still attend the meeting, and let your presence be known. What can you do between now and April 23? If you believe in transparency and representative government call your Commissioner at 719-276-7410, or better yet, write your County Commissioners and tell them to retain the requirement for Public Meetings where CUP are concerned. Refer to FCZR 8.14.62. Remind them that they represent you. Remind them that you are a voter, and that you will remember their decision come reelection time. I would like to encourage Fremont County Democrats and their friends and families to join in an event held in Salida. It is FUN and EDUCATIONAL and IMPORTANT! We have begun planning this year’s celebration of our Earth. In the past this has been on Earth Day. This year Earth Day falls on the day after Easter. We would need to have our event on the day before Easter. We don’t want to compete either with the Easter Bunny or a major religious holiday so we decided instead to hold our celebration, “Our Mother Earth Festival,” on Saturday, May 4th. As we now do annually, we will begin with “Parade for the Species” with both children and adults in wild animal costumes and masks. There will be large puppets, dancers, and music and circus performers. Once again Ken Branden and Box of Bubbles will be hosting mask making for children and adults. The parade will begin at 10 am at Alpine Park and move down F St. to the Arkansas River where we will turn into Riverside Park and walk on up to the stage and gather for a participant’s photo op. This year we are inviting other like-minded regional nonprofit organizations to have booths. Already we have booked the Cheyenne Mountain Zoo mobile that will travel from Colorado Springs bringing small wild animals for a presentation in the Scout Hut. The Pueblo Raptor Center has been contacted and we are hoping they will bring live raptors for a Meet and Greet, probably also in the Scout Hut. We will have a 50 ft. inflated sperm whale and are inviting the Salida Circus, River Tribe and maybe even have an Eco-Maze (weather permitting). We are asking the City of Salida to once again provide electronic recycling at this event. Come early for dinner, drinks, and fellowship in the hotel restaurant. We believe that if you work hard, you deserve the opportunity to earn a good life. We believe that our economy should work for those who work hard, not just those at the top. We believe that government should work for the people, not just the well-connected and special interests. We believe in creating more opportunities to earn a good life and increase incomes that allow families to get ahead and save for the future. 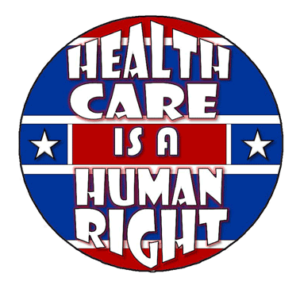 We believe that every Coloradan should have access to affordable health care, and that no one should go broke because they get sick. We believe all children in Colorado deserve a high quality education, regardless of family income or their zip code. We believe in rewarding businesses that create jobs here in Colorado and do right by their workers — not special interests and irresponsible corporations. We believe that everyone should be treated equally under the law, and everyone should have the freedom to make their own choices and live the life they want. We believe that everyone is entitled to clean air and water, and safe, livable communities. We believe in protecting our public lands. We believe in managing our growth to maintain the Colorado way of life. That means upgrading and modernizing our transportation, infrastructure, and our schools. We believe that we all have a responsibility to ourselves, our families and our communities. We believe that we have the power to change Colorado for the better. We are happy to announce that a starter collection of historic pins are now available at our office in downtown Canon City! Pick up your collector’s edition pins! $5 each or 3 for $10. We anticipate offering these pins for mail order via this website in a few weeks. Get ahead of the crowd and pick up your limited edition pin at our office: 628 Main in Cañon City. Office hours are 10 am to 2 pm weekdays, or other times via appointment. Call the office at 719-276-9150 to inquire. Leave a voicemail message if necessary. Melanie Sharp on Button Pins available at our FC Dems office!